Why financial education does not improve our financial literacy and capability. Our financial capability - being in control of managing our money - is crucial to our financial health. Without it, we may struggle to pay off debts, pay bills on time, buy a house, set aside savings for unexpected emergencies, or save for our future. Yet, achieving financial capability is difficult. Basic financial literacy and numeracy skills can go some way to solving the problem, but it’s not immediately clear how best to achieve this as financial education seems to have little impact on financial capability. It doesn’t help that financial decisions are often one-off, or infrequent, whilst the consumer finance market is dynamic and ever-evolving, meaning that financial education may easily become outdated. This fairly damning quote comes from Lauren E. Willis, Professor of Law at Loyola Law School and consumer finance specialist. Studies of existing financial education programs have shown that even semester-long high-school courses and 18 months of adult credit counseling fail to have an impact. A 2014 meta-analysis of over 200 studies showed no relationship between financial education and financial literacy. Daniel Fernandes and his colleagues carried out a review of 168 papers covering 201 prior studies investigating the relationship between financial literacy and financial education and its impact on financial behaviours. They found that interventions to improve financial literacy explain only 0.1% of the variance in financial capability and behaviours studied, with even weaker effects for low-income individuals. Moreover, they also found that any impact from financial education seems to have little, if any, lasting effect on financial literacy. Financial education seems to decay over time; even large interventions with many hours of instruction have negligible effects on behaviour 20 months or more from the time of intervention. After just 18 months, they found there was no significant effect of even 24 hours of instruction. Compounding this deficit, as Lauren Willis acknowledges above, are the impacts of the many cognitive biases and less rational thought-processes on our financial decision-making. For example, we tend to procrastinate, especially over complex choices that we struggle to understand, we often stick to the status quo - for example, staying with the same bank even though they don’t offer the best service, we suffer from present bias; impulsively or emotionally spending our money today rather than using it to pay off debt or save for tomorrow. And we use flawed rules of thumb and mental shortcuts. Many of us are over-optimistic about our finances, sometimes burying our heads in the sand about the future, or ‘mentally account’ for and spend money differently depending on where it’s come from. In the light of these common flaws and biases which can prevent us from making good money decisions and which are tricky to ‘educate’ out of us, what other, more innovative solutions are there to help tackle our attitudes and improve our money management skills? 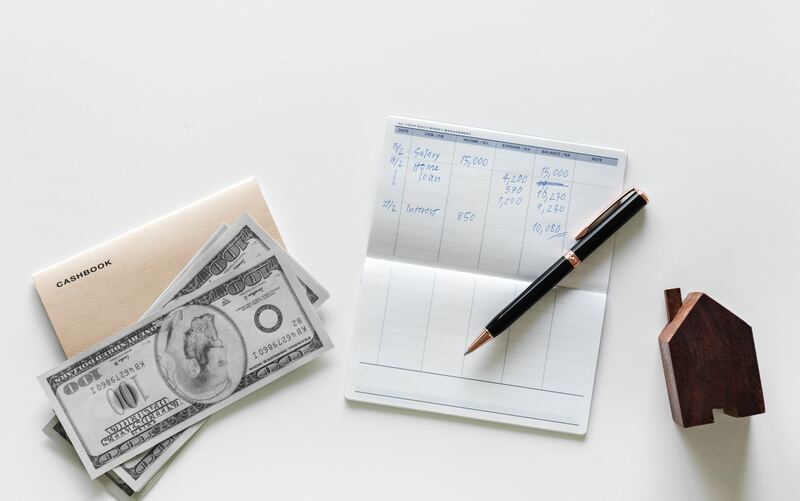 This article considers the role of a simple tool which has been shown to change our financial behaviours for the better. This tool is to give feedback. Social scientists have demonstrated that feedback plays an essential role in our ability to learn and embed new skills in many different areas, since it can motivate us, increase our engagement and ultimately, help us to achieve our goal or change our behaviour. 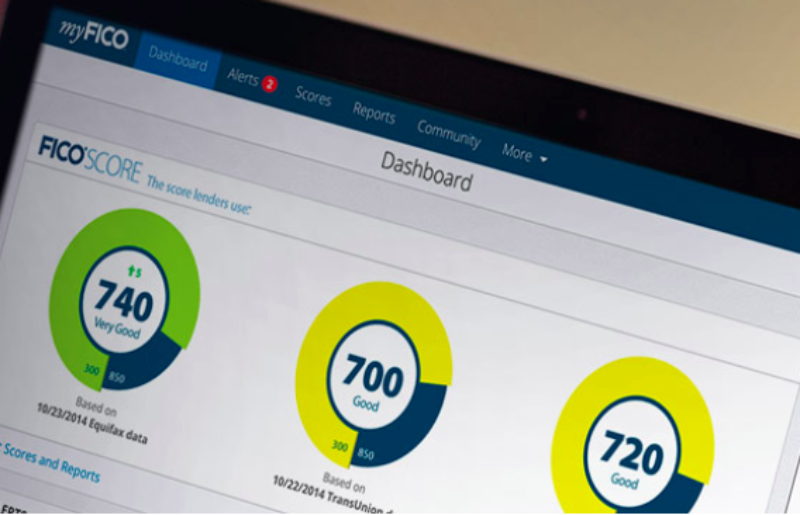 Its impact is further enhanced if that feedback is personalised and specific (such as a score or a rating). A recent large scale field experiment devised by Tatiana Homonff, Rourke O'Brien and Abigail Sussman combined these insights about specific feedback - to test whether providing recent graduates with their credit score could help to initiate a deeper interest in financial well-being and motivate individuals to improve their financial capability and, with luck, their credit score. Partnering with a student loan company in 2015, they set up a multi-year randomised control trial with 400,000 existing Sallie Mae student loan borrowers and provided them access to view their FICO scores. The FICO score is used by 90% of the top lenders in the US to determine the credit risk of an individual. It ranges between 300 (poor) and 850 (excellent) and is a factor in how much money a lender will lend someone (e.g. for a personal loan or mortgage) and at what interest rate. Many individuals do not know their credit score, and if pushed to guess, typically overestimate it, assuming they score better than they actually do. The research team tracked the individuals over the course of 21 months and found a positive, long lasting and statistically significant impact from viewing credit scores. Borrowers were less likely to have any late payments, more likely to have at least one revolving credit account such as a credit card, and to have higher FICO scores. They were also more likely to accurately report their own FICO score and not overestimate their score. Detailed impact evaluation will be published in due course, but these are promising initial findings. This is a tiny, inexpensive tweak and yet one which appears to reap large benefits in terms of individuals' financial capability and awareness, helping to correct and guide people to better management of their finances with little interference from external sources. Feedback is best when it is not only personalised, but when it is timely - coming at the time when we’ll pay most attention to it. Smartphones are aiding this type of feedback in many channels, including financial decision-making, by removing some of the behavioural barriers and friction present in the web-based and offline world, and enabling feedback on the state of one’s finances at the time when we need it most to make the best decision. Our bank balance is ever changing and, frustratingly, still not real-time. Further, many of us are living paycheck to paycheck, or with multiple sources of earned income which can result in a very volatile cash flow. This means we often need to check our current balance before making a purchase, especially if it’s a large purchase. Behavioural economists Shlomo Benartzi and Yaron Levi analysed the financial behaviour of customers of Personal Capital after they had installed a new mobile banking app. Personal Capital aggregates all your accounts - from current account, mortgage and credit cards, to investment and savings accounts - bringing them together into a single online dashboard allowing users to track their holistic spending behaviour easily, in one place. 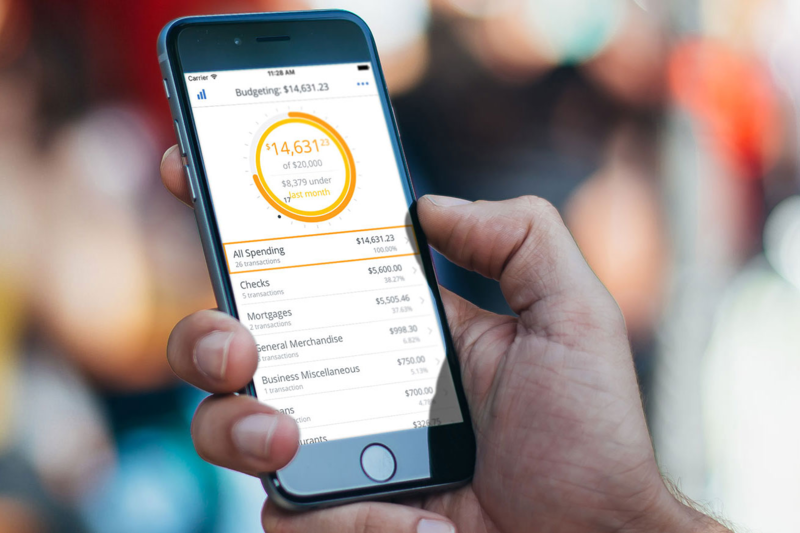 The app provided exactly the same services as Personal Capital’s original web platform but also lessened another barrier to effective money management – making it easier to keep track of spending and available funds whilst on the move, particularly at timely moments such as a potential point of purchase, as well as making it easy to access via a mobile interface. Levi and Benartzi compared access rates for the 3 months prior to the mobile app launch and then for the following 4 months, using data from Personal Capital. A web-only user viewed their financials 2.14 times a month on the website. That frequency rose to over 12 times a month – that’s 3 times a week - after someone had installed the mobile app. That was in addition to views via the website platform meaning these were likely context-based views. These customers also reduced their discretionary spending by over 15% - on items such as dining out and groceries. This behaviour is also supported by survey data from the US Federal Reserve Bank for November 2015 which found that 62% of mobile banking users with smartphones said they had used their mobile phone to check account balances or available credit before making a large purchase in the 12 months prior to the survey. Of those who did this, 50% said they had decided not to buy an item due to low funds in their bank account or insufficient credit. These simple interventions, leveraging some of the valuable insights from behavioural science, illustrate how improving our financial decision-making is less about rigorous, expensive, intensive financial education and more about providing people with the relevant information they need to know, at the right time, in an easy-to-access format. We have the right tools, now let’s use them! • Fernandes, Daniel and Lynch, John G. and Netemeyer, Richard G., Financial Literacy, Financial Education and Downstream Financial Behaviors (full paper and web appendix), Management Science, August 2014.